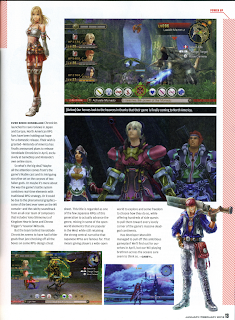 Xenoblade Chronicles gets a three page feature in the latest issue of Nintendo Power. 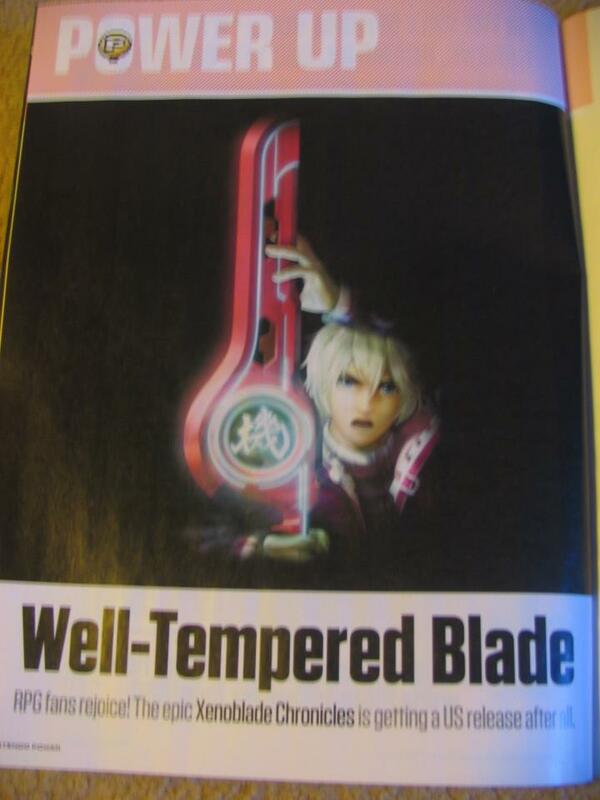 They also promise to take an "in-depth" look at Xenoblade next issue. 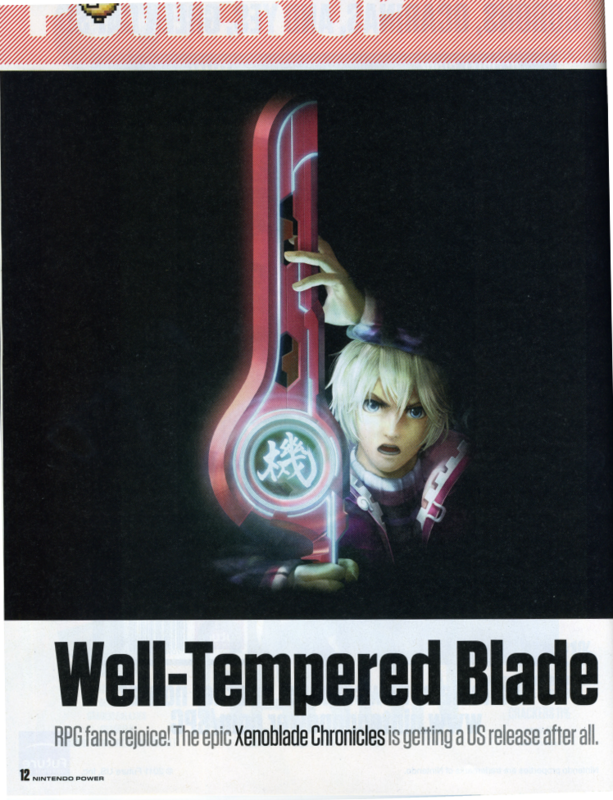 "Ever since Xenoblade Chronicles launched to rave reviews in Japan and Europe, North American RPG fans have been holding out for a domestic release. 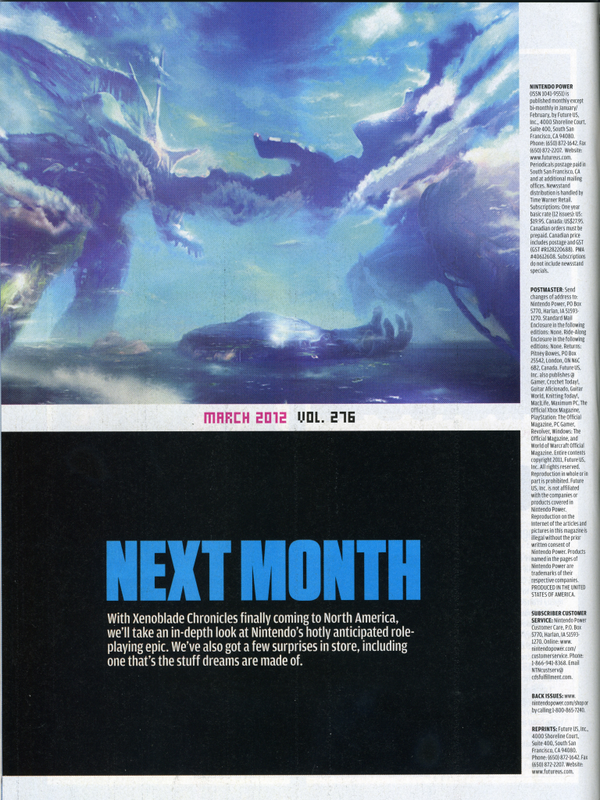 Their wish has been granted-Nintendo of America has finally announced plans to release Xenoblade Chronicles in April, exclusively at GameStop and Nintendo's own online store. So what's the big deal? Maybe the attention comes from the game's likable cast and its intriguing storyline set on the corpses of two fallen gods. Or maybe it's more about the way the game's battle system combines real-time elements with traditional RPG strategy. Or it could be due to the phenomenal graphics-some of the best ever seen on the Wii console-and the catchy soundtrack from an all-star team of composers that includes Yoko Shimomura of Kingdom Hearts fame and Chrono Trigger's Yasunori Mitsuda. But the team behind Xenoblade Chronicles seems to have had loftier goals than just checking off all the boxes on some RPG-design cheat sheet. 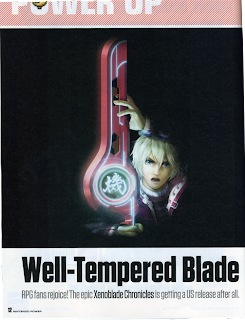 This title is regarded as one of the few Japanese RPGs of this generation to actually advance the genre, mixing in some of the open-world elements that are popular in the West while still retaining the strong central narrative that Japanese RPGs are famous for. That means giving players a wide-open world to explore and some freedom to choose how they do so, while offering hundreds of side quests to pull them towards every lovely corner of the game's massive dead-god continents. Has developer Monolith managed to pull off this ambitious gameplan? 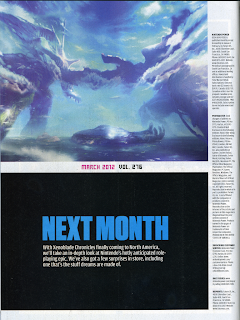 We'll find out for ourselves in April, but our Wii-playing brethren across the oceans sure seem to think so." Thanks Mark for the heads up and scans!